Pinterest for Bloggers | Is This Mutton? What I like about Pinterest is that unlike the other social media channels, it isn't all about big numbers. It doesn't matter how many people follow your boards. What matters is that people like your pins, and that your pins are correctly labelled so that Google and Pinterest can index them properly and they appear in searches. Here are my tips for bloggers on how to grow your traffic with Pinterest. As a blogger you probably have a strategy for how your social channels work together, and enhance each other. For me, Pinterest is an extension of my blog. One of my post popular boards is Jewellery because I can pin many more images of jewellery than I can show on my blog in my monthly Birthstone of the Month posts. Pinterest can do a great job in driving traffic to your blog. It has more than 150 million monthly active users. Eighty million Pinterest users live outside the U.S. 84% of people use Pinterest across multiple devices. Eighty per cent of pins are re-pins (like retweets). The first thing you need to do is convert your Pinterest account to a professional account. This will give you a dashboard of analytics so that you can watch your stats start to soar as your use of Pinterest improves. You also have access to paid promotions if you want to experiment. The next thing that a blogger should do is get rich pins. What is a rich pin, you ask? 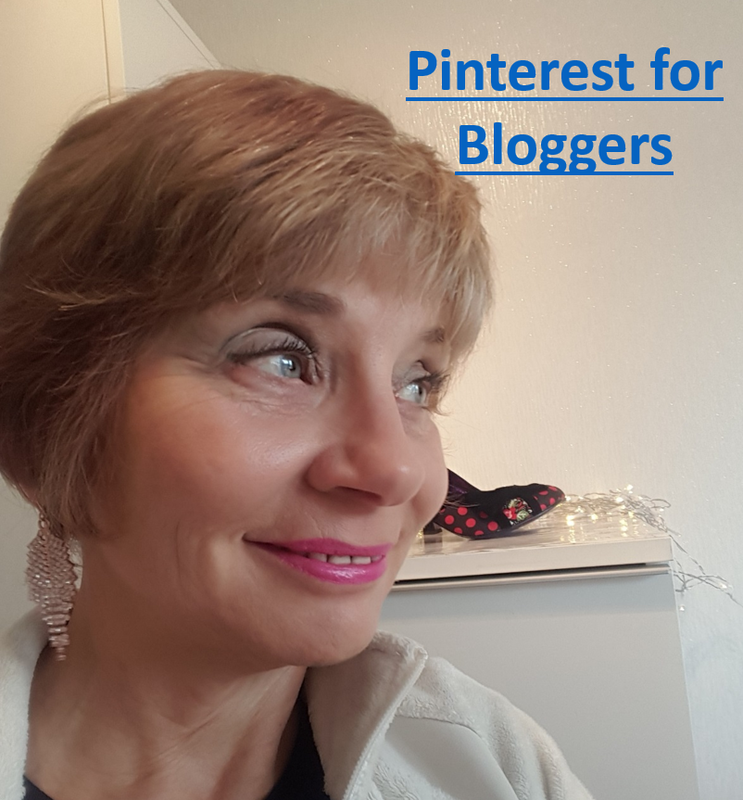 Well, if I don't have rich pins enabled, every time I promote one of my posts on Pinterest there won't be much context around the picture except for the brief description of my blog that I have given Blogger or Wordpress - "a blog for women over 40" for example. But if Pinterest is serving my pins as rich, it will use the headline of the article and the tag info that I have entered into the "properties" field of the image, plus my name and a link to my named blog. To get rich pins, you first need to add meta data to your images. This is key to success on Pinterest and indeed Google - and yet I'm astonished how many brands don't do it properly, You sometimes see images pinned from brands where the description of the picture is missing. This is because they haven't tagged the image properly. On every image on your blog, you need to click on "properties" and then write in some title text. This can be lifted from your search description, but think of it as a huge promotional opportunity, because you can write as much text here as you like. Don't just put "Zara blue dress" but give the context around the picture and your blog name. If it's an article on how to style one dress six ways, then explain it here. There's a second line called "Alt Text" which people often ignore. This helps blind and visually impaired to read the text, via screen readers, and makes your image accessible. So in the Alt Text line, write something like "Image showing woman over 40 in blue dress with leopard print bag against background of street mural." If you want to be very flash, you should rename all your images. Don't go with the usual IMG or numbers that a picture has, but rename each image to say clearly who it is. This helps your images perform in search. Once you have optimised the images in your latest posts, you can apply to Pinterest to get rich pins enabled. They will send you some code which you insert into the HTML of your blog's design. Pinterest is hungry for original images, so if you take a pride in the photography on your blog, start sharing your images! Create some boards and make them public, and once you've added a good number of pins, you can promote the board using the send board / share on Facebook button at the top of the page of each board. Naturally, you should create some boards that reflect your blog's content, and you should post pins from all your articles plus pins from other articles. If you have a board on latest fashion picks, visit a few retailers every day and choose what you like from their "new in" selections. Is your blog encouraging re-pinning? Some blogs have a Pinterest hover button over each image, which means readers can easily share your pictures. Mine has a real-time Pinterest widget on the left hand side, showing my latest pins, and a share button for Pinterest and other platforms at the end of each article. The various templates which are available to buy at fairly low cost, from providers like Pipdig, make it very easy to add this functionality. Pinterest has restrictions on how wide an image can be, but not on length. So canny bloggers produce images in the sizes that perform best on the platform. There's a good guide here. Did you know that red-orange” pictures get almost twice as many repins as blue images? Studies have shown that images with less than 30% background are repinned the most.. Also, those who use many colours have 3.25 times more repins per image than images with a single dominant colour. And here's food for thought for fashion and beauty bloggers: brand images without faces are 23 per cent more popular than images with faces! Bring your images to a wider audience by pinning on a shared board. Most bloggers on your genre will belong to, or own, a shared board. Group board organizers want their group boards to constantly get updated with more pins so they rank better on Pinterest’s search engine and generate more engagement. 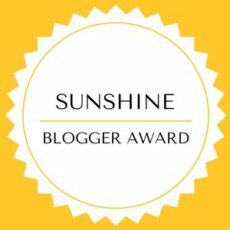 Start following your fellow bloggers and see where the shared boards are. If you go into a frenzy of pinning - and it's easily done - your followers could soon get fed up of all the notifications. Plus it helps if you're pinning a steady stream of content regularly, and not just on Sunday evenings. Scheduling tools are available such as Viralwoot, and you can have a free trial to see if it works for you. I avoid free apps like the plague, particularly if they want to post to your timeline. Sharing this post with Weekend Blog Hop at Claire Justine and Saturday Share at Not Dressed as Lamb. 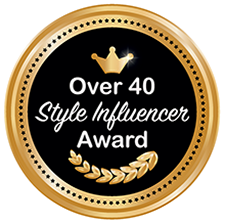 Here's a few of my boards: Over 40s bloggers in fab outfits; Jewellery; Christmas; 5 Over 50 Challenge; Latest fashion picks. Over to you - share your tips and know-how on Pinterest in the comments below. I love Pinterest Gail. So many inspiring things to see and try. Trouble is I can loose a few hours if I go on the website :) Thanks for sharing at Welcome To The Weekend Blog Hop. Oh my goodness, Gail, you know so much stuff. I'm trying to understand it all but it's mostly written in a foreign language to me!! I suddenly feel of another generation. I wouldn't have a clue how to insert a code into my HTML but I was so proud when I found images properties and the add thingy you mentioned on! Oh how I could so with spending a few hours with you talking techy to me! But I will try out the text on images, about all I am capable of, I think. I find Pinterest is a haven, I'm not a fan of Twitter, IG or FB. Thank you for a brilliant post, I am proud that I understand just a little of it at my age. I should have explained some of it a bit better Mary ---- I don't know how to code HTML but when Pinterest send you a code to insert, they tell you where it goes and you just go into the "view HTML" section of your blog and insert the code (and hope for the best!). It's always thrilling if it works. What an insightful post. I thought I was making my photos 'rich' on my blog but I think maybe I haven't been adding info under properties. I have renamed my photos and added description to each of them. And I had heard that reds get repinned more often than blues. I love Pinterest. I pin to beat the band and I do go back and revisit my pins. Especially recipes but also housekeeping tips and books and lots of other things. And now I am going to pin this post so I can refer back to it in order to ensure that I get the hang of this rich pin business. So glad it was useful. Really, you could spend all day learning new things about some of these platforms. I used to love Pinterest but they constantly offer me a fairly narrow range of pins, based on what I've been sharing I guess, and I'd prefer it if they surprised me more.